Haunted Houses in St. Louis, Missouri are some of the scariest haunted houses in America. Hauntworld.com tries to review only the best haunted houses in Columbia, Missouri. When you are looking for simply the best, scariest, haunted houses in Missouri there is no other place to search than Hauntworld.com which offers our guests the best information to find Missouri Haunted Houses including the best haunted attractions in St. Louis, Missouri. There are many haunted houses in St. Louis that claim to the best haunted attraction but only one can truly lay claim to the being the scariest haunted house in Missouri... Lemp Brewery Haunted House in St. Louis, Missouri. These days we have over 800 televised channels with shows for every flavor, but oddly enough some of the hottest aired shows are those about ghost hunting. Each year, more and more shows tell the tale of ghost hunters and their eerie excursions to chase down the paranormal. Do spirits actually communicate from the beyond? Can a spirit actually move items? How much do you believe? What determines whether a building is haunted? When a person dies in a house, does that automatically make the place haunted? Is it a murder, a suicide, or an unexplained death that makes a building haunted? ...How about FIVE deaths in one mansion with nearly all supposedly being by their own hand. Would that make a building haunted? The Lemp family truly qualifies as one of America's most haunting ghost stories, with much scrutiny on the seemingly possessed Lemp Mansion. Built in the 1860’s, The Lemp Mansion was home to the Lemp family and located next to their family business, The Lemp Brewery. 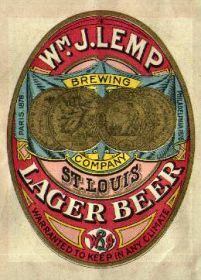 By 1870, Lemp Brewery was the largest brewing company in St. Louis, dominating the beer trade until prohibition closed the plant in 1919. By that time, the family had already endured one heart failure death (Frederick Lemp at the mysterious age of 28) and one suicide (William Lemp Sr). From 1919-1949, five more deaths/suicides occurred. In 1920 just days after her marriage and with her husband in the next room, Elsa Lemp supposedly took her own life with a gunshot to the chest, but left behind no suicide note. The Lemps called their doctor, an attorney and the coroner without ever notifying the police. The police weren’t involved until at least 2 hours after her death. In 1922 after selling off the Lemp Brewery complex at auction, William Lemp Jr. ended his own life inside the mansion office with a shot to his heart. Again, no note was left behind. Then in 1943, William Lemp III died of heart failure at the age of 42. William’s un-named, illegitimate child died inside the mansion somewhere around mid to late 1940’s. In 1949, Charles Lemp committed suicide in his mansion bedroom after shooting his dog in the basement. Knowing several other Lemp suicides remained suspect, Charles left a note with only the words, “In case I am found dead, blame it on no one but me.” Following his brother’s death, Edwin Lemp sold the mansion and it became used as a boarding home. Then in 1970, the final death of Edwin Lemp at age 90 ended the family line. It’s believed Edwin lived as long as he did ONLY because he sold the mansion and left the evil behind. Although the Lemp Mansion gets most of the press, many suspect it was the cursed business that drove several of the Lemp Family to suicide or other ill fate. The Lemp Mansion and Brewery were connected by a series of underground tunnels and caverns, called The Caves of St. Louis. Years ago, this natural cave system provided the perfect temperature for aging beer. The Lemps would also use these caves of stone arches and gothic walls to walk to work each day. Today, it’s a horrific haunting experience like no other. The Lemp Brewery Dynasty is one of the greatest ghost stories in documented history of the paranormal, but the real and truly scary place in this story is the Brewery itself and the caves underneath. We recently took a tour of Lemp Brewery where Halloween Productions Inc. of St. Louis, Missouri has opened a haunted house. They acclaim this haunt to be the only REAL haunted house in America. The minute you arrive at the Lemp Brewery, you literally feel the history. The complex is well over 100 years old and fully rich with gothic gates, archways, buildings and more. As we near the entrance to the haunt, we are shocked to learn there’s only one way in, via a 100-year old freight elevator. Once you board the elevator you are taken down deep underground well-below the Brewery structure into a section that hasn't been seen by the public in nearly 100 years. The freight elevator stops nearly 50 feet below street level, and we are reminded, “Underground, no one can hear you scream.” As the elevator doors rise up, we step into what is now known as The Lemp Brewery Haunted House. This haunted house is unlike anything we've ever seen before. Most haunted houses try very hard to create fake stone or castle looking walls, but inside the Lemp Brewery Haunted House everything is real, over 100 years real. With a gothic appearance, the place reminds me of an old European Dracula's Castle. It’s damp, musty, and oh so creepy. The theme of the haunt highlights its dark history. 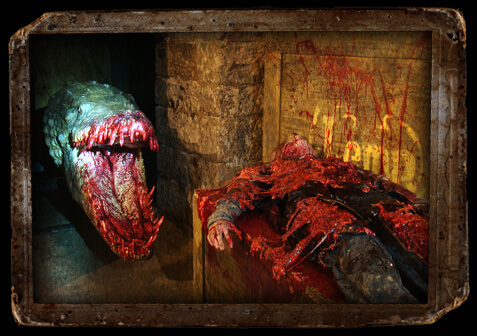 The haunted house features state of the art animations, sets, props, sound effects and special effects. The lighting highlights the natural gothic look of the walls, ceilings and more. Old rusty pipes and worn down machines from a time long ago still remain. Tens of thousands of dollars of monsters, dead zombie gangsters, a massive animated alligator, creepy rats, bats, and long lost brewery workers of the dead come out to haunt inside The Lemp Brewery Haunted House. 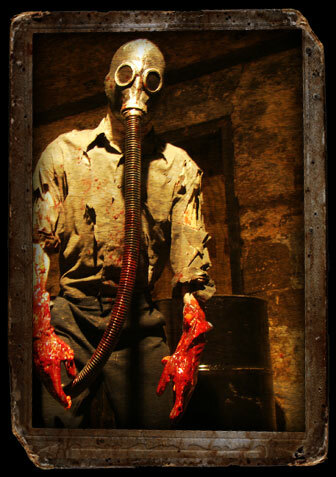 This attractions winds through several sections of the old brewery, spanning over 20,000 square feet of fear. To escape what lurks inside these tunnels and dark corners, you must climb a long staircase to exit out of what they call THE HOLE. So is the Lemp Brewery Haunted House really haunted? If there were ever a place on Earth that is haunted, I think this would be it. I can't imagine a place more rich with haunted history. If Hollywood wanted to shoot a new monster movie or a subterranean horror flick, they wouldn't have to build a single set if filming inside this place. The Lemp Brewery Haunted House is one of the most unique and realistic haunts we've ever reviewed. If you’re a haunted house scream seeker looking to find one of the best haunted houses in the country or if you simply find yourself in the St. Louis area this fall, make sure you stop to scream at The Lemp Brewery Haunted House. For more information on The Lemp Brewery Haunted House in Saint Louis, Missouri, visit www.Scarefest.com. The all new Haunting at Lemp Brewery Haunted House is one of the most haunted places in America. It’s been featured on countless paranormal TV shows and explored multiple times by the best paranormal investigators in the World. The public has never seen what you are about to see this year inside The Haunting at Lemp Brewery Haunted House deep underground where NO ONE CAN HEAR YOU SCREAM! Prepare yourself to journey DEEP underground into real caves and caverns inside St. Louis' only REAL haunted house. The Lemp Brewery Haunted House is a no frills haunted house; this is a REAL haunted house where very strange things happen. People disappear and unexplained occurrences are normal. In 2011 we were only able to open parts of the caves and caverns due to restrictive time and concerns for your safety inside what is considered a hot spot for real paranormal activity. 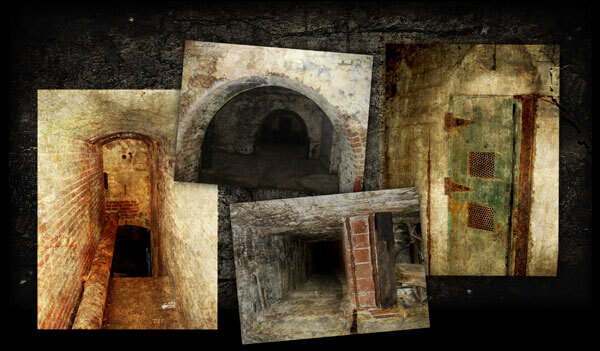 Now in 2012, prepare to explore deeper under the old Lemp Brewery and discover new hidden rooms and passages and learn the secrets of the scariest place in St. Louis, Missouri. The all new Haunting at Lemp Brewery Haunted House starts as you enter a long twisting and turning spiral staircase five stories underground. Most people do not even make it down the stairs as they begin to panic for what is down below in the pitch black caverns. Once you make your way into the pits of the Lemp Brewery Haunted House, prepare to experience an all new attraction with never before seen rooms, sets and scenes full of ghastly discoveries around every corner. Haunting at Lemp Brewery Haunted House, now with two years under its belt, has been amazingly renovated by the same creative team of The Darkness Haunted House. The Lemp Brewery Haunted House is the most unique haunted house experience not only in St. Louis but across America. 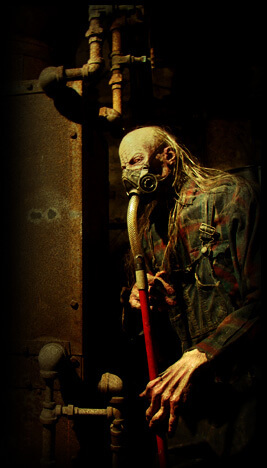 In March 2012, the entire haunted house industry converged on St. Louis for a national convention and toured the newly renovated Haunting at Lemp Brewery Haunted House. Their reaction was astounding, calling Lemp the scariest haunted house they had ever seen. See video at bottom of page of the 2012 tour. Are you ready to go deep underground, twisting and turning around dark passages through real limestone caves of horrific scenes full of fear and without any means of escape? The Haunting at Lemp Brewery Haunted House is all new, longer, bigger, and by far the most frightening haunted experience you will ever encounter. Explore the recently discovered brewing vats, rooms where mobsters gathered to take out their rivals, and find yourself face to face with rats and cave dwelling creatures who live deep underground. Lemp Brewery Haunted House is longer, more elaborate, and even scarier than last year. Deep underground no one can hear you SCREAM inside the Lemp Brewery Haunted House. Additionally in 2012 be one of the first to experience a one of kind haunted pre-show where you will come face to face with the ghost of William Lemp founder of the Lemp Dynasty and finally you will learn what drove the Lemps mad. The all new HAUNTING of LEMP Brewery is a totally new experience with real ghosts brought back to life through stunning special FX. This is the best and scariest version of any REAL haunted house in St. Louis History. See the video below to see what the entire haunted house industry thought of the all new Haunting of Lemp Brewery. 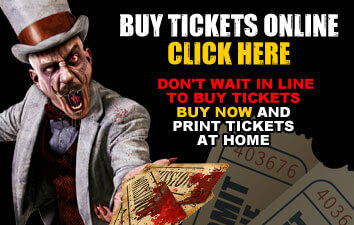 BUY TICKETS ONLINE TO SAVE TIME AT THE ATTRACTION. IF YOU PURCHASE YOUR TICKETS ONLINE, THERE’S NO WAITING IN THE TICKETING LINE EVER! 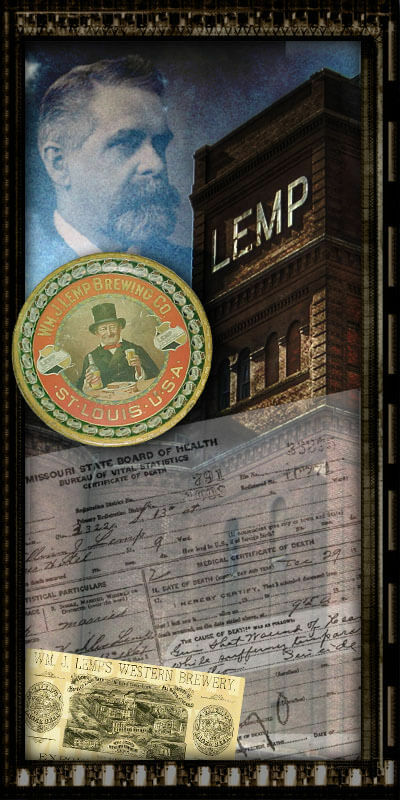 READ THE LEGEND BEHIND THE LEMP BREWERY CLICK HERE. Remember if you buy your tickets online you will save time at the attraction and in addition buy combo tickets and save tons of money. The Darkness is just 2 miles away and our massive scream park is 20 minutes away... visit all three the same night or all on different nights. Buy triple combo tickets and save!